What’s next? We’re here to help you find out. The worst part about summer jobs are that they’re a pain to find. For most entry-level positions I’ve come across, no one wants to hire someone that has to be trained, only for them to quit in three months. Completely understandable when you think about it, right? That leaves the usual summer jobs: camp counselor, life guard, baby sitter, maybe a fast food joint that will take you on. It’s slim pickings for sur e.
Before I blow your mind with the secret of student summer jobs, let me remind you of a thing called networking. It’s the scary thing that we try not to think about until maybe senior year when it actually applies to us. What it really is, is interacting with other people to exchange information and develop contacts, especially to further your career. I know. Talking to professionals… already with a job? That’s obviously crazy. Get ready, here’s the secret: You’ve probably already done some sort of networking to grab a previous summer job! (Or if this will be your first job, don’t worry!) Little did we know that our parents, family, and friends would be our first networking experience. I know more than few people who, when I asked them how they got their summer job, said they or a parent knew someone who was hiring. For example, my friend with absolutely no experience as a secretary or relation to construction companies, worked last summer managing the front desk of a California bay area construction company. How did she get that job? Her mom knew the hiring manager. My own mom informed me of her boss hiring his daughter for the summer to do front desk/filing duties as well; I think she was hinting that I do the same. However, I landed a job running the snack bar at the gym that I had been going to for years, because I knew the manager through a high school friend! When you think about it, you may have countless opportunities to snag open positions, all you have to do is reconnect with the people you already know. If you’re interested in beginning your networking process through family and friends, check out http://collegeparents.org/2005/04/25/4-steps-cringe-free-networking/ or stop by the Career Center during Express Advising hours to talk to one of our wonderful counselors. Check out this resource to help you map out your known contacts. Good luck with whatever your summer may bring, whether it’s securing a job or lounging in the sun. See you next year, go Pilots! Growing up, my mother would throw me a birthday party every year in our garage. Twenty plus children running around, playing games and eating snacks; it was amazing. Towards the end of the party, when we were stuffed full of cake and ice cream, my friends formed a circle and watched me open presents. I remember Mom exclaiming “Oh, what a wonderful gift!” and then scribble in a notepad. The “present” list: what I’d received and who had gifted it. The day after my birthday party, we’d sit at the dining room table and I’d write a thank you card to everyone who’d given me a present, thanking them individually for the specific present they’d given me. Maybe it’s because of those early birthday thank you cards that I always keep a stack of blank thank you cards in my closet. Last week, I went to Target and bought new cards. They’re just so cheap and so freakin’ cute. This particular set has pink flowers decorating the calligraphy style lettering of “Thank You.” I threw them in my basket without even thinking because you can never have enough. Recently I’m using them for every interview encounter; job interview, internship interview, informational interview. It takes five minutes to write a thank you card, and it catapults you ahead of every applicant who doesn’t send a note. Use it as a way to highlight why you’re the best candidate. Here is a template for what to send after a job/internship interview. Dear, Mr./Mrs. Last Name, I appreciate your taking the time to interview me this afternoon. I enjoyed the opportunity to learn more about the marketing department of ­­­__________. Reference instances during the interview that you can speak to your skills. Our conversation affirmed my interest in joining the marketing team. I feel confident that my internship experience as a copywriter would allow me to effectively fill the position of Creative Assistant. Remind them of how you can be reached and if you can provide any additional information. Creating the invitation for further correspondence will greater your chances of actually being contacted again. Please feel free to contact me if I can provide any further information. I am looking forward to hearing from you soon. Thank you again for the opportunity to interview, have a wonderful rest of your day. 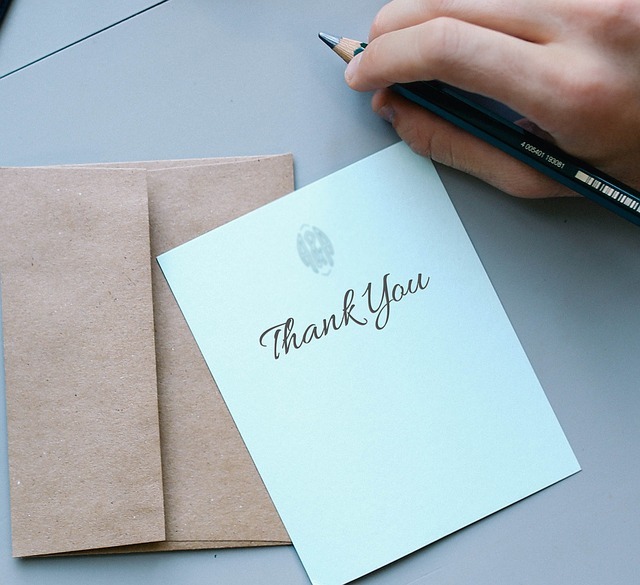 If you’re conducting an information interview, the thank you card is much less about getting job and more about manners and gratitude, while still showing that if you were to apply to their company, they may remember your name and put in a good word. Dear, Mr./Mrs. Last Name, I appreciate your taking the time to chat with me this afternoon. I enjoyed the opportunity to learn more about your role of Creative Director at ­­­_______. Our conversation on the expansion of Instagram analytics affirmed my interest in the digital marketing industry. I feel confident that my internship experience as a social media copywriter would allow me to thrive in a position within a marketing team. As this wasn’t a job interview, use this as an opportunity to build your network. I hope to reach out in the future with an update on my career development. Your valuable insight in the industry has given me a new excitement for my upcoming job search. With hand written notes, its best to carry some with you to every interview. After the five minutes it takes to write, leave with the front desk after an interview addressed to your interviewer(s). With info interviews, you’ll know where they’re employed. Send in the mail same or next day. Thank you cards take extra time out of your day, yes. But just think. When you actually do it, and no one else chooses to, who is going to stand out in the hiring process? You are. The First Avenue Career Fair is this Friday, March 2nd, and if you’re like me, you still haven’t printed out ANY resumes. Procrastination strikes again. Luckily, the Career Center not only has resume paper for sale (the good stuff, it’s linen people) but a handy printer that everyone can use. However, our dear printer is a little old and cranky, so getting around to actually figuring out how to use it can get frustrating. At the back of the Career Center office, our ancient printer sits beneath a poster with instructions on how to print your resumes. However, if those still don’t make sense, bring this blog post with you and get to printing! 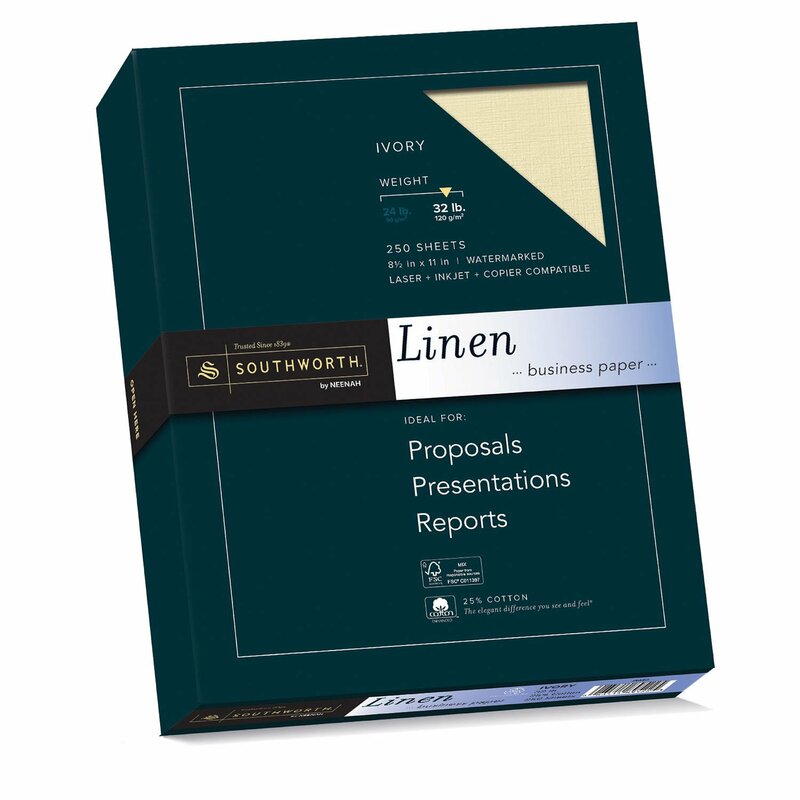 If you don’t already have fresh, clean, snazzy linen resume paper, stop at the front desk first. If you’ve had a recent appointment with a counselor this school year, you get 10 sheets free. Any additional sheets are 10 cents. Head on back to the printer. You cannot print from a personal computer using WebPrint, so email your resume to yourself and print from one of the computers in the back, using your login information. If you have snazzy resume paper, hold it up to light and find the watermark. The logo (on paper from the Career Center), when faced the correct way, says “Southworth” and will be towards the bottom of the page. When you have it faced this way with the logo reading “Southworth,” feed the page, still facing this way, into the printer. This will ensure your resume is printed on the side where the watermark will also face the right way. Only print one resume at a time! Our printer is an old, slow man. Come print your resumes today! Remember, it’s only one dollar to have 10 sheets of quality paper. Read here on how to prep for the career fair this Friday. Visit us soon! We are University of Portland Career Center. This is our blog, run by students, for students. Internships: Why all the Hype?